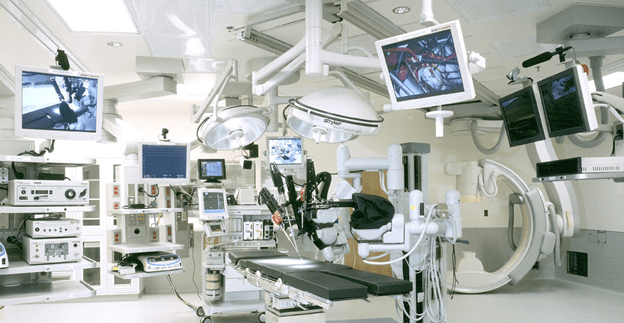 Depending on the medical practice, the machinery that is needed to treat the patients can be costly and strain your budget. So Why Do You Need Financing? Latest digital X-ray units may cost upwards USD 125,000, and for the most modern models, the price may go up to USD 235,000 depending on power output options that it offers or the type of detector selected. The cost of all such machines is usually high. If you are beginning your medical practice even buying some of this equipment may eat-up all the money. Also if you are running a healthcare practice and want to add new medical equipment, you may find it expensive to buy one outright. It is where you need funding for medical equipment to take the burden away from you. Should You Reach Out To Bank Or Alternative Lender? Many medical professionals may have already availed a loan from banks to cover their education expenses. If you are such a professional, then banks may not be willing to give an additional loan for financing the establishment of your medical practice. This is when you should get in touch with an alternative lender. How to Get the Desired Financing? Loan Amount-How much loan do you want? You will have to provide a figure for the same. You can get a loan up-to USD 1 million. Monthly Sales-You will have to provide the monthly sales figures. If you are establishing your business, then you will have to select the minimum monthly gross sales figures. However, if your medical practice is running for past some time, then you will have to provide the actual details. Years in Business-You need to have spent at-least six-months in the medical practice before you become eligible for the loan. For those medical practices that are running for the past many years, they will have to provide the actual details. Personal Details-You will have to provide personal details so that you can be contacted or vice-versa. You can now discuss with agents that are available round the clock to know your exact needs and share details about your business as well. Once you have clarified what all details you have to provide regarding the loan, you are ready to apply. You may have to provide some paperwork as well. When you are seeking a loan from us, we ensure that there is minimal paperwork. All that you will have to provide is a financial statement. Well, you will need good credit as well when you are trying for such a loan. Medical equipment loan usually starts at 5.99%. Once you have applied, you will have to wait for 4-to-6 business hours for the approval. The approval depends on numerous factors like the loan size, your credit report and the loan-term that you are seeking. Once the application is approved, the funds are wired directly into the bank account of your company. With AdvancePoint Capital you can get the loan size up to USD 1 million. The repayment term is usually 7-years, and you will have to make monthly repayments. The medical equipment financing that you need to run your practice is just a few hours away. All you need to do is to apply here. « Can I get a Small Business Loan with Bad Credit? Short Answer, YES! ©2014 - 2016 AdvancePoint Capital, All Rights Reserved. * All loans made by either WebBank, an FDIC-insured Utah industrial bank, or Bank of the Internet Federal Bank, an FDIC-insured federally chartered thrift located in California. In connection with the loans, the Banks' underwriting conditions and terms apply.